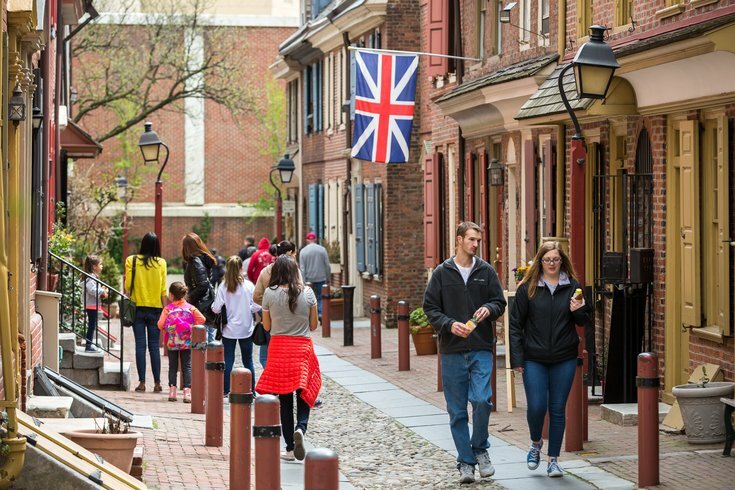 Philadelphia is once again ranked as one of the most walkable cities in the U.S., falling one slot from last year but yielding an overall higher walkability score than in 2016. This year, the city ranks fifth on the list of the top 10 walking cities from real estate site Redfin. Last year, Philadelphia came in fourth, but it is outranked now by Miami. The top three walking cities, however, have not changed since last year: New York, San Francisco and Boston remain the best for pedestrians, in that order. Growth in Philly’s retail markets has helped up the city’s walkability score from 78.3 in 2016 to 79 this year, the report says. Growing proximity to amenities is one factor in tallying a city’s walking score, as is population density. Though Philadelphia fell from fourth to fifth in the rankings this year, no new cities cracked the top 10 list, which is rounded out by Chicago, Washington D.C., Seattle, Oakland and Long Beach. It was recently reported that Philadelphia’s Market East developments are helping make the neighborhood one of the nation’s most sought-after shopping districts, while housing prices are also on the rise across many neighborhoods – both of those are in line with creating a more walkable city. Check out the full walkability report from Redfin here.